The owner of a defense contractor has pleaded guilty to his role in multiple conspiracies to over bill the Federal government. The over-billing scheme totaled more than $15 million. From 2004 to 2014, these fraudulent invoices totaled more than $15 million in overcharges to the Government. No word on how the fraud was uncovered but it surprises us that it went undetected for a decade. Where were the contract auditors? Where were the contracting officers? Where were the contracting officer technical representatives? It seems to us like someone should have realized something was not right in the 10 years that this fraud festered. Spinitar was awarded a $165 thousand firm fixed price Army contract to install video conferencing system at Fort Shafter Flats, Hawaii. The solicitation included the clause at FAR 52.212-4 which states in subsection (k) that the contract price includes all applicable Federal, State, and local taxes and duties. Spinitar's proposal on the other hand included a note that stated the proposed price did not include any applicable sales taxes. Hawaii's GET (general excise tax) tax reimbursement policy implemented for federal purchases will be utilized. After the work was completed, Spinitar submitted a bill to the Army for $7,624, the amount of Hawaii GET it owed on the contract revenue. The Army denied the claim, citing the aforementioned FAR clause. Spinitar appealed to the ASBCA (Armed Services Board of Contract Appeals). Who do you think prevailed, the Government citing FAR 52.212-4 or Spintar citing its initial proposal? We reject [Spinitar's] interpretation as unreasonable. The clauses could not be more clear. They provide that any contract price adjustment for changes in mandated wage rates shall be limited to the changes in the wages, fringe benefits and accompanying changes in social security, unemployment taxes and worker's compensation insurance and shall not include any additional amounts for G&A, overhead or profit on these costs... The contract also clearly states that all Federal, state and local taxes shall be included in a contractor's bid. This state excise tax and any projected increases thereof, should have been included in [Spinitar's] bid. Don't expect to override a contract clause by slipping contrary provisions into your price proposal. Over the past two days, we've discussed the concept of division of duties (also called segregation of duties) as a component of internal controls over labor costs. We discussed the importance of the division of duties between those who review and approve employee time charges and those who prepare the payroll. We discussed the importance of the division of duties between those who review and approve employee time charges and those who are responsible for meeting budgets. The basic premise for internal controls is to reduce the chance that irregularities will occur. If you're a regular reader of this blog, you know that we comment on the results of fraud investigations quite often. And one thing that many of these fraud cases have in common is that the companies (or the Government organization) either lacked basic internal control systems, had internal controls in name only (they were not in compliance with the controls they had established), were ineffective for what they were intended to accomplish, or were easily circumvented. Labor costs are usually the most significant costs charged to Government contracts, and usually comprise the indirect cost allocation base, or the largest element in the base used for allocating indirect costs. Historical labor costs are often used to estimate labor for follow-on or similar item Government contracts. Unlike other cost items however, labor is not supported by third party documentation such as an invoice, purchase order, or receipt. Contractor personnel have complete control over the documents or devices of original entry, whether they consist of timecards, electronic media, or some other means. Responsibility for accuracy is diffused throughout the contractor's organization. Consequently the risks associated with the accurate recording, distribution, and payment of labor are almost always significant. If you have ever been the recipient of a DCAA audit, you probably know that auditors spend most of their time testing indirect expenses for allowability under FAR Part 31 cost principles. Auditors might also pop in and perform random "floorchecks" to test the veracity of labor charging practices. Auditors rarely spend any time at all looking at materials cost and if they do, its rather superficial. We don't ever recall where a contract auditor verified that a vendor was a legitimate company and not a shell company. Audit procedures just don't go to that level of detail for material costs. That's not the case for labor costs. When it comes to labor costs, the contract auditors will test for ghost employees, labor mischarging, managing to budgets, and potential over-staffing. Contractors having a mix of cost-type and fixed price contracts will be scrutinized more than contractors that have all of one kind or another - just because the risk of mischarging from an overrun fixed-price contract to a cost-type contract is higher. What to avoid increased scrutiny by the Government? Implement strong internal controls. Internal Controls are a critical component of nearly every financial transaction, practice, or procedure. Yesterday we discussed a control regarding the division of duties between those who have responsibility for meeting budgets and those responsible for approving time and attendance records (see Division of Duties - Responsibility for Meeting Budgets and Approving Employee Time Charges). Today we want to discuss another internal control related to labor costs - creating a division of duties between those approving time and attendance records and those responsible for the preparation and distribution of payroll. As a general rule, contractors should have procedures to provide reasonable assurance that payrolls are prepared by persons independent of those responsible for the timekeeping operation and actual payroll payment. These procedures should ensure that there is a segregation of responsibilities between timekeeping and payroll. These procedures are necessary to reduce the opportunity for any person to be in a position to both perpetrate and conceal errors or irregularities such as fictitious employees, improper time charges, etc. A number of years ago, there was a major scandal involving a base maintenance contractor with a cost-type contract. Turned out that the contractor's payrolls were completely fabricated. And these payroll records were the basis for claiming reimbursement from the Government. Not only were fictitious employees on the payroll (the number of employees were overstated by 40 percent) but the rates of pay for the "real" employees were overstated as well. The fraud was uncovered by auditors asking the right questions during a labor floorcheck. Although this fraud was orchestrated by top management, it illustrates where a lack of internal controls can result in overstated costs to the Government and why the Government is so keen on ensuring adequate internal controls. As we noted yesterday, very small contractors are not going to have sufficient personnel to ensure segregation (or division) of duties in all areas. Contractors (with the Government's "help" at times) are going to have to decide which controls are most important and work to enhance those. From the Government's perspective, controls dealing with labor are always important. We'll explain why tomorrow. Once a contractor is awarded a contract, it typically sets up budgets for the work to be performed. At first, budgets are very rough estimates of what the contractor believes it will take to perform the task (or sub-task) but as the work progresses, the budgets become more refined. The funny thing about budgets is the compelling need to manage to those budgets. Managers and teams that don't meet their budgets are sometimes viewed as less than successful. Often times, performance appraisals, bonuses, and promotions are based on the ability to meet budget. So, how does a very small contractor go about creating a division of responsibility between the person responsible for operating within budget and those tasked with approving employee time charges? The short answer is you cannot. Its just like many of the desirable internal controls over accounting - if a company has only one person in its accounting department, there will never be an effective division of duties. The same with timekeeping and budgets. For small companies, there is just not enough people to have an effective division of duties. So what are the consequences to the contractor? From a contract audit perspective, the risk of labor mischarging increases which means - at least in theory - that the auditors will want to increase their testing in that area. Practically, it means that during employee interviews, the auditors will want to increase the number of employee interviews and perhaps design some analytical tasks to see what happens to labor charging once budgets are met. What is Actionable Acquisition Insight? What is "Actionable Acquisition Insight"? If you don't know, ask your local DCMA (Defense Contract Management Agency) person for a definition. Everyone at DCMA possess it, seemingly. So they must know what it means. Every month or so, DCMA publishes a short autobiographical sketch on their website of someone in their organization. The series, entitled "My DCMA" intends to showcase DCMA's workforce and "... highlights what being part of the national defense team means to them." Yesterday's "showcase" was a contract administrator out of Indianapolis. We know the functions assigned to contract administration under FAR 42.302 - an impossible list of 71 different responsibilities or activities but when we saw this article, we thought we could gain some insight on what DCMA's contract administrators really do once they pull their picture badge on a lanyard over their necks and get down to work. I guess we'll have to keep looking because there is no such information in this autobiography. We are the independent eyes and ears of DoD and its partners, delivering actionable acquisition insight from the factory floor to the front line ... around the world. Let's not just pick on Mr. Hoover. How about previous "My DCMA" articles. Take Mr Jon Bayus in Cleveland. His autobiographical sketch states: "I provide actionable acquisition insight to the Department of Defense ...". Or, how about James Vandross in Whicita. "I provide actionable acquisition insight to the DoD ...". We could give more examples but you've got the gist. It seems like these "independent eyes and ears" are not so independent when it comes to writing about what they do on a daily basis. We had an occasion to visit DCMA not long ago. We walked into their un-signed building, punched the elevator button for the third floor, walked down a long dimly-lit hallway to a windowless door and pushed a buzzer to get help. It took awhile for someone to come to the door and let us in, probably because everyone inside was engaged in providing actionable acquisition insight to DoD. Fowler General Construction holds a contract to build a new "Collaboration Center" at PNNL's (Pacific Northwest National Laboratory's) campus in Richland, WA. Taxpayers spend about $1 billion per year to Battelle Memorial Institute to operate the Lab for the Department of Energy. In November 2016, PNNL received an email instructing the company to change the bank account for electronic payments made to Fowler for work performed. PNNL complied and issued a payment of $530 thousand to the new bank account on December 16, 2016. In January 2017, Fowler called PNNL to ask the status of their payment stating they hadn't received the December payment. A subsequent investigation showed that the new bank account was not associated with Fowler and the account had been emptied shortly after payment had been made. PNNL assigned Aleta Busselman, the Lab's enforcement coordinator, to investigate and prepare a root cause analysis report. Her job was to analyze PNNL's response to the bank account change request. DOE's (Energy) Inspector General and the Justice Department were performing their own investigation to determine how the information to make the change was obtained by the thief. Ms. Busselman's "audit" pointed to PNNL management and their failure to institute effective internal controls in its vendor program. PNNL management didn't like that result, fearing that it would make management and PNNL "look bad". For a few days she and management argued over what should be reported. Then, Ms. Busselman left for a scheduled vacation but when she returned, she didn't have a job. She also found that her report had been gutted of any mention of management responsibility. Ms. Busselman is now accusing PNNL of retaliation and is suing to get her job back. How effective would your internal controls be in preventing this kind of fraud? The source for this post is an article appearing in the June 21, 2017 edition of the Tri-City Herald. 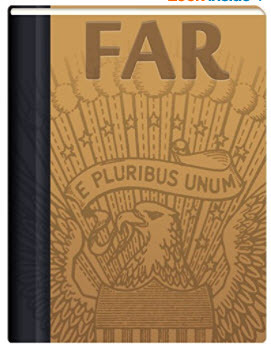 The FAR (Federal Acquisition Regulations) is now available for free in the Amazon Kindle Bookstore. With this version, you can highlight text, bookmark sections, and send quotes by email - features you're already familiar with if you use Kindle. Now we can't say that this book will be something you want to read at bedtime (typical time to read: 92 hours and 49 minutes, 3,728 pages) and most people don't carry around a dedicated Kindle reader. But it might be handy to have as a reference tool - especially if you have Kindle on your smartphone. The version available for download is current through FAC (Federal Acquisition Circular) 2005-95 (January 19, 2017). One thing that makes the Kindle version efficient is its integrated hyperlinks. For example, if you're reviewing the compensation cost principle to see if excise taxes on pension plan asset reversions or withdrawals are allowable, the cost principle refers you to another FAR section which, at a touch, will take you there. The Kindle FAR can be accessed here. If you need more detailed instructions including how to download the Kindle reader onto your smartphone, click here. 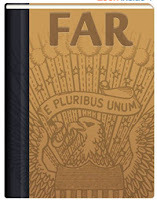 Note, FAR has been available in the Apple iBook format for some time. If interested in that format, click here to download it for free from the Apple Store. In accordance with Executive Order (EO) 13777, Enforcing the Regulatory Reform Agenda, the Department of Defense (DoD) Regulatory Reform Task Force is seeking input on DFARS (the DoD FAR Supplement) solicitation provisions and contract clauses that may be appropriate for repeal, replacement, or modification. Interested parties have 60 days in which to submit written recommendations or comments. Here's your chance to be heard and to be taken seriously. An example of No. 6 would be the recent repeal of the Fair Pay and Safe Workplaces rules that were based on an EO from the previous administration but have now been rescinded. Keep this list in mind as you contemplate needed changes. EO 13777 also requires the task forces to seek input and other assistance from entities significantly affected by Federal regulations including State, local, and tribal governments, small businesses, consumers, non-governmental organizations, and trade associations. Hence, this Federal Register call for input. DoD has promised to consider all input it receives. Click here for further information and directions for submitting your ideas. GSA recently announced that it had added approximately 500 qualified industry partners to its GSA 8(a) STARS II Government-wide Acquisition Contract (GWAC). The 8(a) STARS II GWAC is a multiple-award, indefinite-delivery/indefinite-quantity (ID/IQ) contract engineered to provide federal agencies flexible sources of IT services and IT services-based solutions including computer programming services, computer systems design services, computer facilities management services, and other computer related services. To gain entry to the 8(a) BD Program, a business entity must be unconditionally owned and controlled by one or more socially and economically disadvantaged individuals who are of “good character,” are citizens of the United States, and who can demonstrate the potential for business success (see 13 C.F.R. § 124.101). A socially disadvantaged individual is someone who has been “subjected to racial or ethnic prejudice or cultural bias within American society.” (see 13 C.F.R. § 124.104(a)). An economically disadvantaged individual is a socially disadvantaged individual whose ability to compete in the free enterprise system has been impaired due to diminished capital and credit opportunities as compared to non-socially disadvantaged competitors in the same or similar line of business. When determining economic disadvantage, the SBA considers the personal financial condition of the person claiming disadvantaged status, including income from the past three years, personal net worth, and the fair market value of all assets (see 13 C.F.R. § 124.104(c)). An individual with a personal net worth of more than $250,000 is not considered economically disadvantaged. When calculating net worth, the SBA excludes the ownership percentage in the applicant company, and the equity in the owner's primary personal residence. Funds invested in an official retirement account are also excluded from the net worth calculation, as is income from the applicant company that is reinvested in the company or used to pay the company's normal taxes. ORB Solutions Inc. (OSI) was denied admission into the 8(a) business development program because the owner of the company was not economically disadvantaged. The principle, Ms. Gupta's net worth exceeded $250,000. It wouldn't have exceeded $250,000 had it not been for the fact that OSI made a $132 thousand dollar loan to Ms. Gupta. And since Ms. Gupta was the sole owner of OSI, the SBA concluded that there was no assurance that Ms.Gupta would enforce the terms of the loan to herself - that and the fact that there was no formal loan agreement. So then the loan becomes an asset rather than a liability. Owners of closely held companies often commingle their personal and company finances but an application for admission into the 8(a) business development program will open both personal and company finances to audit and a lot of scrutiny. The SBA is well aware of and on the lookout for firms and owners attempting to hide assets in order to qualify for the program. One thing well known about fraudulent activity is that fraud involving collusion is one of the hardest to detect and prevent. It is extremely difficult to design a system of internal controls that can or woulds be effective in preventing or discouraging collusion from happening. A simple internal control that requires two signatures on each check is ineffective if the two signatures conspire to both sign a check to a fictitious company and then split the proceeds. Recently, a former deputy director of US Aid for International Development (USAID) plead guilty to a contract-steering scheme where "by engaging in cronyism and contract steering" she chose to enrich a friend instead of actively seeking the most qualified and cost-effective bidder. The case involved a close personal fried of Ms. Moskov who she want to hire for some consulting work. Ms. Moskov engineered the contracting process so that she was the selecting official, the approving official, and the person to whom the consultant would report. She provided internal government documents for the consultant to pattern his bid and all but guaranteed his the work: "we need to jump thru a few hoops and will go through the motions but you will be selected in the job". Moreover, she pretty much directed him to submit fraudulent invoices by telling his that his activities related to the bid should be added to his days of consultancy. What was in it for her? The investigators found that she received a $7 thousand loan from the consultant that she never repaid. She called him "peaches". He was the "man of honor" at her wedding. They took trips together. The full extent of her largess may never be known. It is hard to imagine that given all of the regulations inherent in Government contracting that one person could wield this much authority. The Justice Department write up of the case noted a co-conspirator which was probably why internal controls were ineffective. We don't know how the scheme was uncovered. Perhaps someone took notice of the cozy relationship between contracting authority and one of the contractors/consultants she to oversee and blew the whistle. Do you have any similar situations in your organization? It seems like only yesterday that we were discussing a provision within the 2017 NDAA (National Defense Authorization Act) that gives defense contractors the authority to retain commercial auditors to perform incurred cost audits and have DCAA (Defense Contract Audit Agency) accept the results without performing additional audits. Actually, it was less than six months ago (see Defense Cost Accounting Standards - Part 3). This was a controversial piece of legislation because it marked a significant departure from business as usual and would most certainly result in the erosion of DCAA's workload. But will the provision last? Earlier this month, the DoD Office of Legislative Council sent to Congress its second package of legislative proposals for inclusion in the Fiscal Year 2018 NDAA (National Defense Authorization Act) that, if passed, would repeal that particular provision - even before it becomes effective. (B) such audit was performed using relevant commercial accounting standards (such as Generally Accepted Accounting Principles) and relevant commercial auditing standards established by the commercial auditing industry for the relevant accounting period. (2) The Defense Contract Audit Agency may audit direct costs of Department of Defense cost contracts and shall rely on commercial audits of indirect costs without performing additional audits, except that in the case of companies or business units that have a predominance of cost-type contracts as a percentage of sales, the defense Contract Audit Agency may audit both direct and indirect costs. There is, of course, a long way to go before the 2018 NDAA becomes a reality and there is no certainty that this provision will ever be included in any version of the NDAA. But, it does highlight DoD's true position on reliance on commercial audits. For the past two days, we have been discussing a GAO (Government Accountability Office) bid protest decision involving OCI (Organizational Conflict of Interest) assertions by Accenture against IBM. If you missed Parts 1 and 2 of this series, go here to begin reading. Also, if you want to read the decision yourself, you can find the entire bid protest decision here. Generally, OCIs fall into three broad categories (i) biased ground rules, (ii) unequal access to information and (iii) impaired objectivity. Accenture argued all three of these categories in its bid protest. Monday we discussed Accenture's arguments alleging biased ground rules. Yesterday we looked at Accenture's unequal access to information arguments (both its biased ground rules and unequal access to information relied on the same speculation. Today we will conclude this short series by trying to understand what the Accenture meant by alleging that IBM acted with impaired objectivity. Impaired objectivity exists where a firm's ability to render impartial advice to the Government will be undermined by the firm's competing interests, such as a relationship to the product or service being evaluated. Recall that IBM is the support contractor for another Army system, the FSPS (Financial Statement Production Services) contract and was awarded the GFEBS (General Fund Enterprise Business System) - the subject of this protest. One of IBM's duties under the FSPS contract is to conduct annual compliance reviews of source systems to determine whether they comply with Treasury and DoD guidance. Accenture contends that IBM could tailor its recommendations in such a way as to generate more work under the GFEBS contract, or to prevent a reduction of work. The contracting officer considered this possibility and essentially concluded that IBM would not have the level of discretion implicit in the protester's argument, or the requisite decision-making authority to direct that changes be made. The contracting officer noted that the FSPS and the GFEBS contracts were managed by different contracting officers and program managers. IBM's recommendations would be vetted by the Government to determine whether they would result in proper implementation and the ultimate decision to require a changed to GFEBS would be made by the Government. Once again, the GAO found that the contracting officer gave meaningful consideration to the protester's allegation and found no basis to conclude the contracting officer's determination was unreasonable. Like the previous two OCI allegations, the GAO also denied this portion of Accenture's bid protest. In all three cases, Accenture provided no factual evidence to support its OCI claims; only conjecture. Yesterday we began unpacking a GAO (Government Accountability Office) bid protest decision involving OCI (Organizational Conflict of Interest) assertions by Accenture against IBM. If you missed Part 1, go here to read it. Also, if you want to read the decision yourself, you can find the entire bid protest decision here. Generally, OCIs fall into three broad categories (i) biased ground rules, (ii) unequal access to information and (iii) impaired objectivity. Accenture argued all three of these categories in its bid protest. Yesterday we discussed its arguments alleging biased ground rules. Today we look at unequal access to information and tomorrow we will complete the series looking at impaired objectivity. An unequal access to information OCI exists where a firm has access to nonpublic information as part of its performance of a Government contract, and where that information may provide the firm a competitive advantage in a later competition for a Government contract. Accenture argued that IBM had an unequal access to information because, as the contractor for the Army's FSPS (financial statement publication service) system, it had access to data from all of the Army's varied ERP (Enterprise Resource Planning) systems - systems that fed the Army's GFEBS system (General Fund Enterprise Business System) - the contract being protested. The contracting officer considered whether IBM might have unequal access by focusing on the type of information available to IBM in the course of FSPS contract. The contracting officer concluded that the information that IBM receives is financial information would not permit IBM to have unequal access to information. The contracting officer further noted that the information received by IBM is raw financial data that IBM must consolidate into general financial ledgers for the Army. The GAO ruled that, based on the contracting officers consideration of the allegation, coupled with the protester's failure to explain how the type of data available to IBM could give it a competitive advantage, there was no basis to conclude that IBM had unequal access to information. The GAO denied this portion of Accenture's bid protest. The Army issued a task order contract to IBM Corporation to support, sustain, and maintain its General Fund Enterprise Business System. Accenture Federal Services, LLC (Accenture) protested the award to IBM for a number of reasons including the argument that IBM had an impermissible organizational conflict of interest that should render it ineligible for award. The Army's General Fund Enterprise Business System (GFEBS) is an integrated Army-wide business management system that enables General Fund financial and real property management capabilities, including funds distribution, execution, reporting, and accounting and real property accountability, maintenance, and asset accounting. 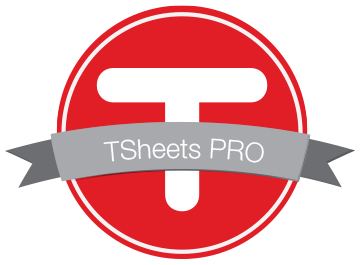 Think of it as QuickBooks on steroids. It takes a lot of manpower to keep the thing running smoothly. Contracting officers are required to identify and evaluate potential OCIs (Organizational Conflict of Interest) as early in the acquisition process as possible, and avoid, neutralize, or mitigate significant potential conflicts of interest before contract award (see FAR 9.504 and 9.505). The responsibility for determining whether an actual or apparent conflict of interest will arise, and to what extent the firm should be excluded from the competition, rests with the contracting officer. In a bid protest situation involving OCIs, the GAO does not try and second guess the contracting officer when he/she has given meaningful consideration to whether a significant conflict of interest exists unless there is clear evidence that the agency's conclusion is unreasonable. Contractors must and are required to exercise considerable discretion. To be successful, a protester must identify "hard facts" that indicate the existence or potential existence of a conflict. Mere inference or suspicion of an actual or potential OCI is not enough. OCI's typically fall into three broad categories: (i) biased ground rules, (ii) unequal access to information, and (iii) impaired objectivity. Accenture argued all three of these categories in its bid protest. We will discuss Accenture's arguments concerning biased ground rules today and the other two conditions tomorrow and Wednesday. A biased ground rules OCI exists where a firm, as part of its performance of a Government contract, has in some sense set the ground rules for another Government contract by, for example, writing the statement of work or the specifications. The primary concern is that the firm could skew the competition, whether intentionally or not, in favor of itself. In this case, Accenture argued that IBM has OCIs with respect to this new contract because IBM is also under contract to provide financial statement publication services (FSPS) for three of the Army's funds. In its role as the FSPS contractor, IBM is required to collect and process routine financial data including data pulled from the accounting system under appeal.It is the interplay of these two systems that are the focus of the OCI allegations. IBM is required to review, at least annually, the most current guidance from Treasury and DoD regarding the U.S. Standard General Ledger and identify any additions or removals which should be made to ensure the source systems' compliance with the standards. Accenture argues that IBM has the ability to choose which recommendations to make or not make and speculates that such recommendations may have impacted the statement of work that favored IBM. Accenture did not, however, provide any hard facts regarding recommendations made by IBM that impacted the GFEBS requirements nor has it even provide a description of the type of recommendation IBM could have made in its FSPS role that would have skewed the competition in its favor. You can read the entire bid protest decision here. An active duty Colonel working out of Ft. Gordon, GA, his wife, and a high ranking employee of Kratos Defense and Security Solutions, a $600+ million company with mostly Government work, were indicted this week by a Federal grand jury for their alleged roles in a bribery and kickback scheme. According to the allegations contained in the indictment, beginning in 2008 and lasting almost 10 years, Colonel Anthony Roper conspired with his wife, Audra Roper, and Dwayne Fulton, the Kratos employee to solicit and accept cash bribes in exchange for rigging the award of over $20 million in U.S. Army contracts to selected individuals and companies. The indictment further alleges that in an attempt to hide their bribery and fraud schemes, the defendants attempted to obstruct an official investigation into their criminal conduct (i.e. they lied to investigators). The scheme utilized various shell companies, such as Quadar Group and OzTEK Research LLC to launder the bribes. Among the allegations are these: Colonel Roper signed sole-source justifications and provided all requisite approvals and justifications to ensure that certain companies were awarded and remained the prime contractor on certain Army contracts. He falsely represented to the U.S. Army and to others that the contractor employees were performing and had performed work under certain Army contracts. He helped prepare false and fraudulent applications and documents that were submitted to the Army and the SBA. He prepared false invoices from shell companies, claiming work that was never performed. He falsified his Government Ethics Form relating to additional income, salary, fees, commissions and gifts. The indictment does not state how much was received by the defendants over the 10 years nor is there any information related to how the fraud was uncovered. The indictment listed three payments between December 2012 and December 2014 totaling $60,000 but evidently that is only a fraction of the amounts involved. These, of course, are just allegations at this point. The defendants are entitled to fair trials. Also, it would seem from reading the indictment that more people will be charged in this scheme. It will be interesting to see how Kratos characterizes this indictment in its next SEC filing. There was a question and answer posted to DoD's "Ask A Professor" yesterday that got us to wondering whether double counting is going on with respect to the Government's tally of awards to small business entities. Each year, the SBA (Small Business Administration) establishes goals for awarding contracts to Small Businesses, Women owned Small Business, Small Disadvantaged Businesses, Service Disabled Veteran Owned Small Businesses and HUBZone small businesses. It gave themselves an "A" for fiscal year 2016 for exceeding its goals in three of the five categories and almost meeting its goals in the other two. Are prime contractors permitted to use a company that qualifies as two or more socio-economic groups, and received (sic) credit in each group? The question was premised on a contractor who claimed nine million dollars in small business subcontracts but when the individual socio-economic groups were tallied, they totaled $14.5 million. Yes, a prime contractor is permitted to use a company that qualifies as two or more socio-economic groups and receive credit in each group as there are many small businesses that qualify for the different socio-economic programs. Neither the FAR or SBA regulations restrict this practice and in fact it is a smart way to help reach all of the goals in a subcontracting plan. We don't think its smart at all. We think its dishonest. Doubling up like that means that small businesses are not getting nearly the amount of contracting dollars that are being reported. A minority disabled-veteran woman owned business in a HUBZone would get counted four times. The Federal Bureau of Prisons issued a solicitation for residential community corrections center services in Michigan. Among the companies bidding on the project was Bannum, Inc. Among the evaluation factors, the Bureau of Prisons evaluated the location of the facility proposed and the validity of the offeror's right to use it. The solicitation required offerors to provide documentation supporting their right to use the property but also permitted offerors one request ot change an initially proposed facility so long as the request was received with 60 days of initial proposal submission. The property that Bannum proposed to purchase if it won the contract had a contingency clause that allowed the seller to continue to show the property but gave Bannum 10 days to remove the contingency. In January 2016, the Bureau of Prisons requested final proposal revisions. Given the passage of time however, and the contingencies in the protester's documentation regarding Bannum's proposed property, the contracting officer did a little research and found that the property had been sold to another entity the prior month..Bannum asked for additional time to find a replacement property but the contracting officer determined that the proposal was noncompliant and rejected it. Bannum protested the rejection contending that the Bureau of Prisons delay in making award caused the protester to lose its rights under the contingent agreement. Bannum also challenged the Agency's refusal to provide additional time to find a replacement property noting that the Agency had previously issued interim contracts during the pendency of the current procurement and that issuing another interim award would allow it the time it needed to find a new property. The GAO (Government Accountability Office) rejected Bannum's protest. GAO noted that Bannum continued to offer the property through discussions and final proposal revisions for approximately a year after it had been sold. GAO also rejected Bannum's argument that the Bureau of Prisons acted unreasonably by not allowing additional time to find a new location. There was nothing in the solicitation establishing that the agency would make an award by a certain date. Further, based on the express terms of the solicitation, an offeror could only request a site change within 60 days after initial proposals were submitted. Bannum's inability to provide a facility was a direct consequence of the particular deal Bannum struck with the property owner, which ultimately rendered the property unavailable to Bannum, and it was Bannum that bore the risks of the agreement. The U.S. Senate wants to add another matter to the long list of factors that the Defense procurement must consider when awarding contracts. Entitled the "American Jobs Matter Act of 2017", this bill would require that contracting officers include the effects on employment within the United States as an evaluation factor that must be considered in the evaluation of proposals. This law would cover competitive procurements greater than $1 million. The number of jobs created or retained in the United States by the subcontractors expected to be used by the offeror in the performance of the contract. A guarantee from the offeror that jobs created or retained in the United States will not be moved outside the United States after award of the contract unless doing so is required to provide the goods or services stipulated in the contract or is in the best interest of the Federal Government. But that's not all. Every year for the duration of the contract, the contracting officer must assess the accuracy of the jobs impact statement. Where will the contracting officer get the data necessary to assess the accuracy of the jobs impact statement? From the contractor, where else? But even that's not all. The contracting officer must track comparative information showing the projected number of jobs created/saved with the actual number of jobs created/saved. If the number of jobs actually created/saved is significantly less than the estimate, the contracting officer may consider this as a factor that affects a contractor's past performance in the award of future contracts. Contractors, of course, will be provided an opportunity to explain away those discrepancies before it impacts their past performance rating but contracting officer will have the final word on whether such explanations are sufficient. According to the Sponsor of the bill, Senator Murphy, the Department of Defense over $200 billion on goods manufactured by foreign firms and during that time, lost over 1.7 million manufacturing jobs. "The Department of Defense should make every effort to buy American, promoting economic growth and military security." In March 2016, the Defense Threat Reduction Agency (DTRA) published an RFP to provide support for its mission of threat reduction. There were a number of evaluation factors to be evaluated including one related to past performance. The solicitation directed offerors to identify past performance references for the prime offeror and for each of its critical subcontractors including the submission of a present and past performance questionnaire (PPPQ) for each reference. DTRA established a competitive range of four offerors, including Battelle and Leidos and thereafter opened discussions by sending evaluation notices (ENs) to each competitive range offeror. Among the ENs provided to Battelle was one that notified Battelle that two PPPQs were not received. During oral discussions that followed, DTRA once again mentioned the two missing PPPQs. In October 2016, the four bidders submitted final proposal revisions (FPRs) however Battelle's FPR did not include any additional past performance references and the missing PPPQs were never submitted to DTRA. When assigning past performance ratings, DTRA gave Leidos a "substantial confidence" rating for past performance but gave Battelle only a "satisfactory confidence" rating. When the contract was ultimately awarded to Leidos, Battelle protested the award based on a number of factors including its contention that DTRA's evaluation of past performance was improper because DTRA did not fully consider certain of Battelle's subcontractor's' most recent/relevant past performance. Specifically, Battelle asserted that DTRA's only needed to "Google" the contract's name or other project information in order to have obtained the required PPPQ or DTRA could have gone to the subcontractor's website and reviewed publicly-available information regarding the subcontractor's past performance as a proxy for the required PPPQ. That kind of rationale never flies in a bid protest situation. The Government is not about to go out and independently generate data that was required to have been submitted as part of a prospective contractor's proposal submission. In this case, the solicitation specifically provided that each offeror ensure that each of the offeror's past performance references complete a PPPQ and further elaborated that the responsibility to send out and track the completion of the PPPQs rests solely with the offeror. Further, DTRA brought the omission to Battelle's attention not once, but twice prior to the date that FPRs were due. Suppose that a prospective contractor submits a proposal that falls under the threshold requiring certified cost or pricing data (currently $750,000) but subsequent to submitting the proposal, the Government decides to add additional quantities that causes the resultant contract to exceed that threshold. Is that contractor required to certify its cost or pricing data? The short answer is 'yes'. FAR 15.403 (and 10 USC 2306a, the Truth in Negotiations Act or TINA) applies to the dollar value of a contract (or subcontract). The eventual value of the contract action, not the original proposed value, is determinative. Contractors need to be aware of this. Even if the Government does not require them to sign a certificate of current cost or pricing data, the requirement still applies (see Christian Doctrine and Is Your Contract Subject to a TINA Audit), Some contractors have unwittingly signed up for something they didn't plan for. There may be ways around this requirement. If the Government negotiates a contract based on the original proposal and subsequently negotiates a modification to add the additional quantities, and neither the proposal nor the modification rise to the threshold level, neither the basic contract nor the modification(s) would be subject to TINA. Each pricing action stands on its own when it comes to the requirement for certified cost or pricing data. Another situation that may surprise contractors is modifications of contracts that did not require certified cost or pricing data because it was exempt (perhaps because it was based on adequate price competition). Certified cost or pricing data would still be required for any modification should the value of that modification exceed the $750,000 TINA threshold. The U.S. Department of Veteran Affairs (VA) is required to perform a Rule of Two analysis for all procurements, regardless whether they involve items on the AbilityOne list, according to a recently published decision published by the U.S. Court of Federal Claims. The Veterans Benefits Act of 2006 (VBA) mandates that before procuring goods and services, the VA must first determine whether there are at least two veteran-owned small businesses capable of performing the work. If so, the VA must limit competition to veteran-owned small businesses. This process is known as the "rule of Two" analysis. The Javits-Wagner-O'Day Act (JWOD) requires government agencies, including the VA, to purchase products and services from designated non-profits that employ blind and otherwise severly disabled people when those products or services appear on a list known as the "AbilityOne List". The question before the court was which procurement priority must the VA first employ, the VBA or the JWOD. The court found that the VA is required to perform a Rule of Two analysis for all procurements after the VBA was passed (i.e. in 2006). Accordingly, the VA may not enter into future contracts with AbilityOne until it performs a Rule of Two analysis and determines whether two or more veteran-owned small businesses can perform the subject work. This is good news for SDVOSBs (Service Disabled Veteran Owned Small Businesses) and VOSBs (Veteran Owned Small Business) but not such good news for non-profits employing blind and severely disabled persons. You can read the full decisions here.